For full service swimming pool repair in the greater Avon area, turn to the pros at Landmark Pools. For thirty years Landmark Pools has offered full service inground swimming pool installation, maintenance services, and repair. If you have a built in pool that is beginning to show its age - and you would like to have it repaired - give Landmark a call. Gunite and concrete swimming pools may begin to develop fine cracks, chip, or flake after a number of years. If your aging inground pool needs some cosmetic or structural work to freshen it up, you will want the services of an experienced and reputable company such as Landmark Pools to handle the repairs. The littlest details are just as important as major issues. Whether we installed the pool in question or not, don’t hesitate to call us. Small flaws can lead to bigger problems when not addressed early, so do not hesitate to call our repair team about your concerns. 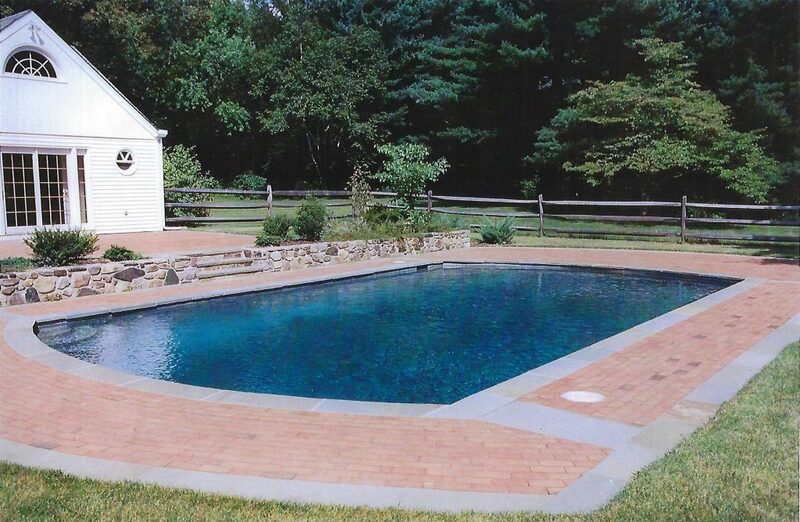 Landmark Pools can do simple repairs to your inground pool or offer a complete upgrade. There are beautiful aggregate finishes and colors available now that will last up to twenty years. If your inground pool is older and the basin appears to be flaking or chipping in spots, it may be that your painted concrete needs to be refreshed. Landmark's Connecticut inground pool services can apply a fresh coat of paint each season to keep the surface intact and looking like new. Feel free to call and talk to our helpful staff: (800) 545-1460.